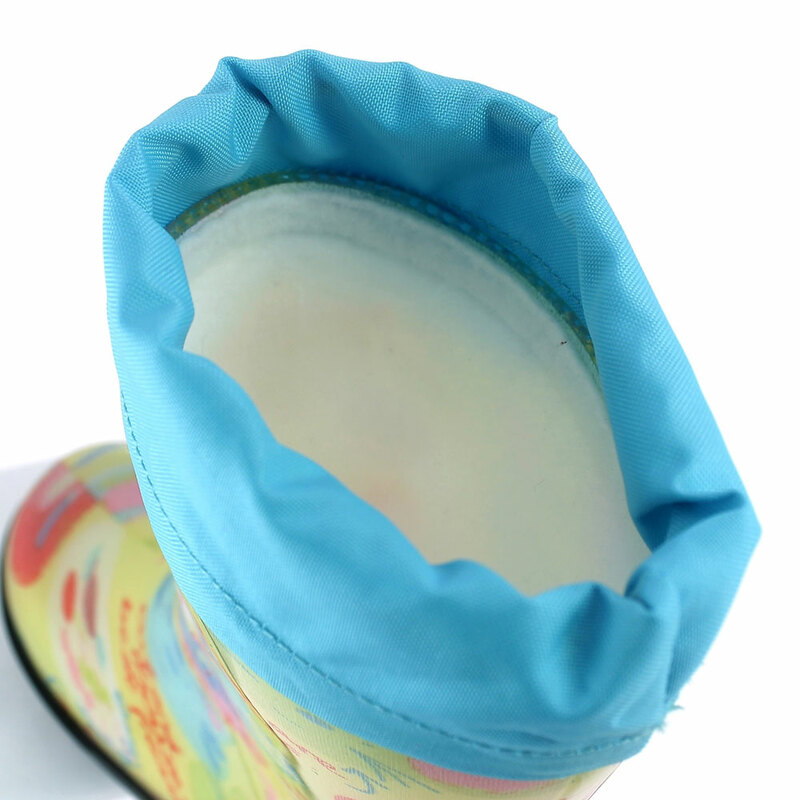 Rainboot for children in two-colour pvc with felt inner lining and finished by a nylon collar with coulisse matched with the outsole colour. 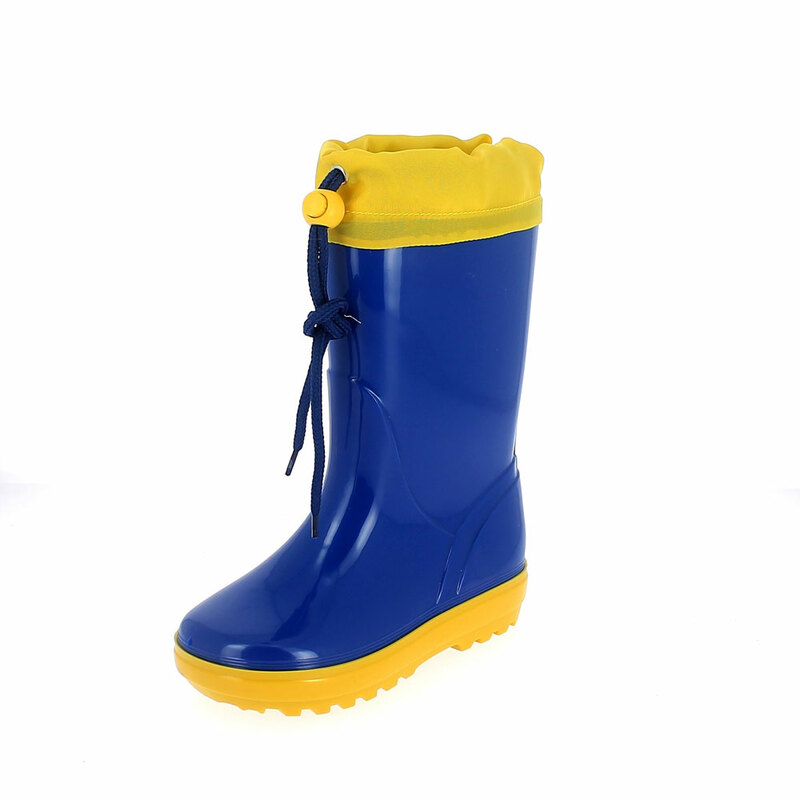 Colour: royal with yellow outsole. Size run: Double sizes from 21-22 to 35-36.